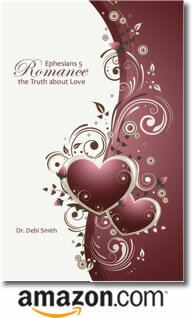 Posted by occhristiancounseling in Dr. Debi Smith, Events, recommended reading, understanding men, understanding women. For the past 20 years, I’d been too busy to live life … or to even have a life! And as I listened to these words, I realized I needed to let go of working so hard and dance my way out of the corner I’d been in. In fact, I believe I was born to dance. And I was born a blonde. A blue-eyed blonde who was the apple of her daddy’s eye. Shortly before I turned three, my mom packed her friend’s car with some essential belongings and left town with my older brother and me … while my dad was at work. He had no idea what was coming. None of us did. We were always physically safe, and Mom took very good care of us. But for many years, I experienced a haunting loneliness that I couldn’t explain … until I reconnected with my earthly dad. But I don’t want to get ahead of my own story here. Only to say that, as an adult, I learned that my mom had been abused as a child, and as a result, she was very confused about men. She adored my three uncles, but didn’t trust any other men in her life. Stay tuned for more excerpts … and pre-order your copy today!